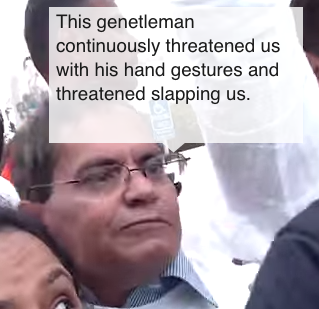 Although this is not the main video, here’s a glimpse of right wing zealots who support Modi verbally attacking, harassing and pushing the members of Trikone. 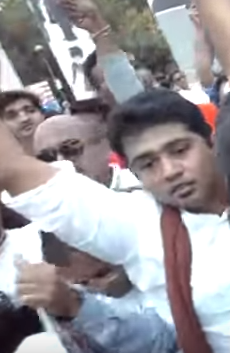 The zealots took signs from Trikone members and ripped them up and some Modi supporters even got physical. Here’s a detailed account from Trikone’s co-chair Ali. Section 377 was brought back into the law books December 2013, Modi has yet to acknowledge 377 or make any promises to the South Asian LGBTQ community that he will get the code off the law books for good. These types of horrendous actions remind us all that homophobia and ignorance is still very much alive, even in the Bay Area. 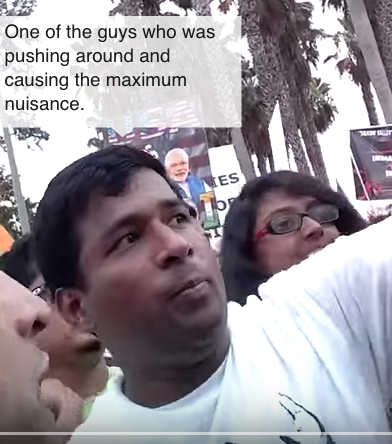 Do you know these Modi supporters who kept harassing the Trikone members? 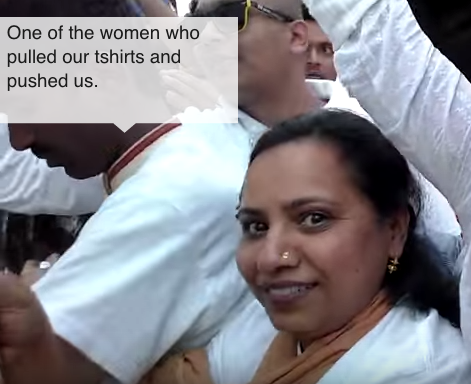 Why does the author insist on repeatedly calling them Modi supporters? Is that their defining characteristic in this context? No. They are homophobes and bigots who just happen to be pro-Modi. People can support the head of any country, and still be bigots, that doesn’t make the head of that country responsible for their actions. Running the largest democracy in the world isn’t a walk in the park and things have to follow due process. Compare how long it’s taken the UK and USA to move towards lgbt equality. The size of the country’s population does have an impact. Modi can’t fix everything at once and has to prioritise. He shouldn’t be vilified for following due process and his achievements so far deserve respect and appreciation. Point taken and thank you for the feedback, we understand not all Modi supporters are right wing racists. But 377 was taken off the law books in 2009 and without warning it came back in place in 2013. Modi has not acknowledged or shown solidarity towards the south asian lgbt community. Imagine not being able to be together with someone you love? What if Section 377 took away all rights for just Patels? And wrote off Patels as second class citizens. I’m sure you would question the sitting PM and push for equality. Let’s not forget section 377 is a British colonial mandate law. The British left in ’47, they should’ve taken all of their laws with them.